Hi guys! 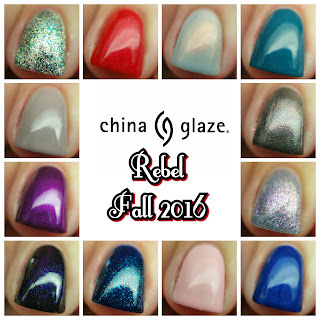 Today I have the Rebel Fall Collection 2016 from China Glaze to share with you! 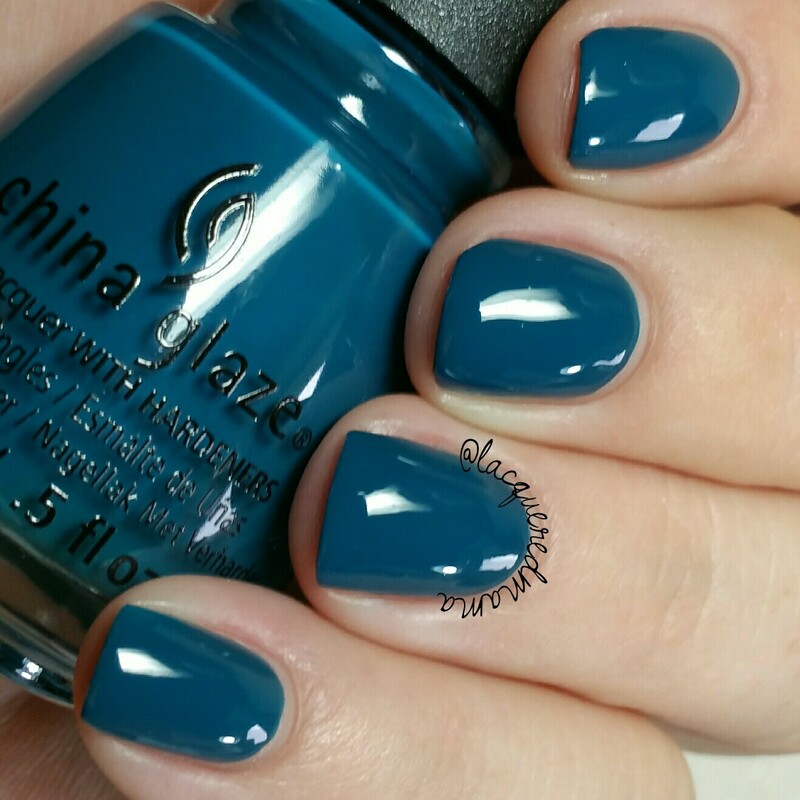 Twelve beautiful colors that will get you in the mood for some cooler weather! I know I can't wait for Fall to arrive! 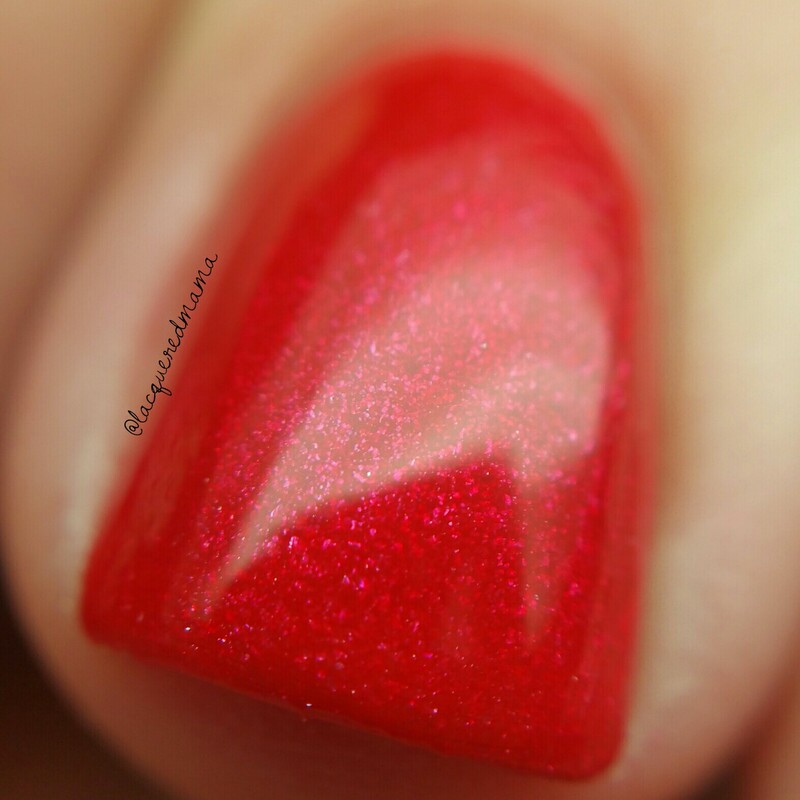 Y'all Red-y For is a beautiful red crelly filled with a red shimmer. This baby is really opaque and was almost opaque in one coat. Here I did two thin coats plus topcoat. I love how the shimmer seems to glow within the polish. Be careful with this one though, as it did try to stain my cuticles as I removed it. 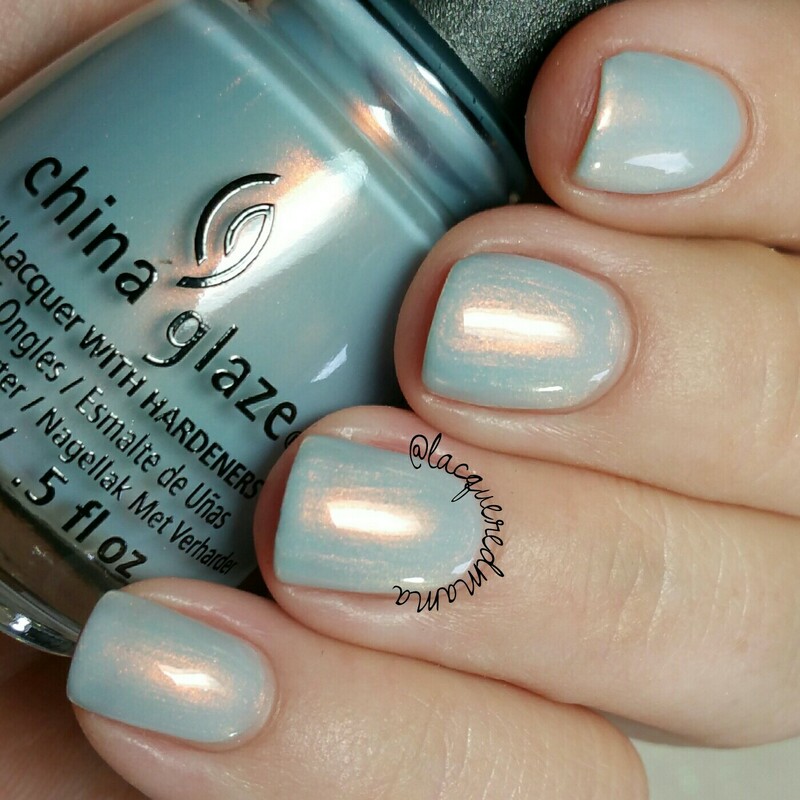 Pearl Jammin is a gorgeous pale baby blue creme filled with copper shimmer! So freaking pretty! Because there is so much shimmer, you'll want to be mindful of brush strokes; though for the most part they disappeared upon drying. Here I did two coats plus topcoat. Teen Spirit is a deep, blackened purple base filled with holo micro flakes that glow pink, purple and blue. Super pretty! 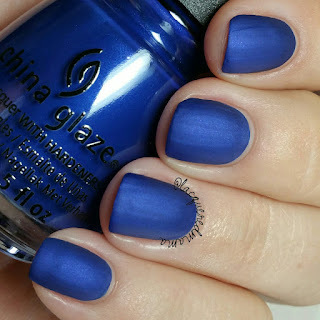 It is also very opaque and can be worn in one thicker coat. Here I did two thinner coats plus topcoat! This was also very easy to remove and no staining. 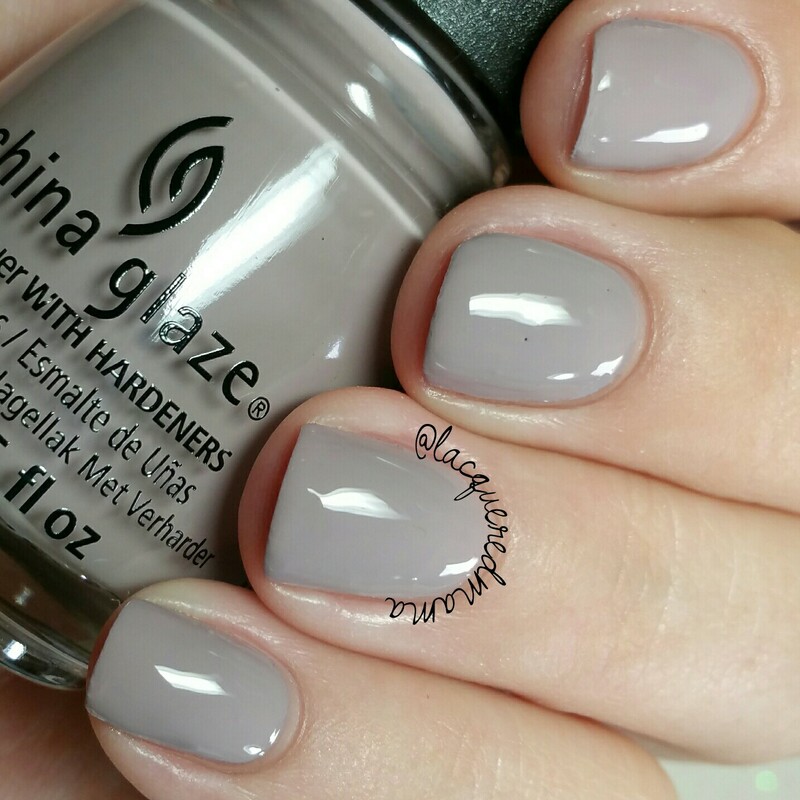 Dope Taupe is your basic gray leaning taupe creme. Basic as in color, but the formula was pretty great! This is two coats plus topcoat. 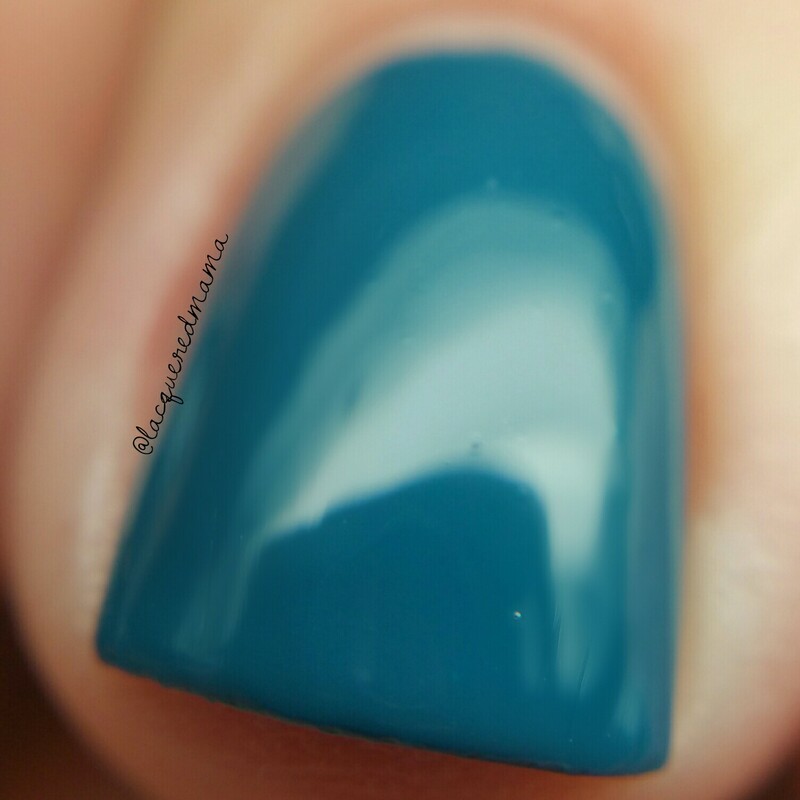 Jagged Little Teal is a beautiful deep teal blue creme. 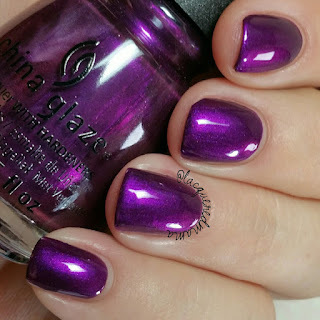 Another great formula that was opaque in two coats plus topcoat. This is another that stained my cuticles ever so slightly upon removal. nothing horrible though, as it came right off with 100% acetone. 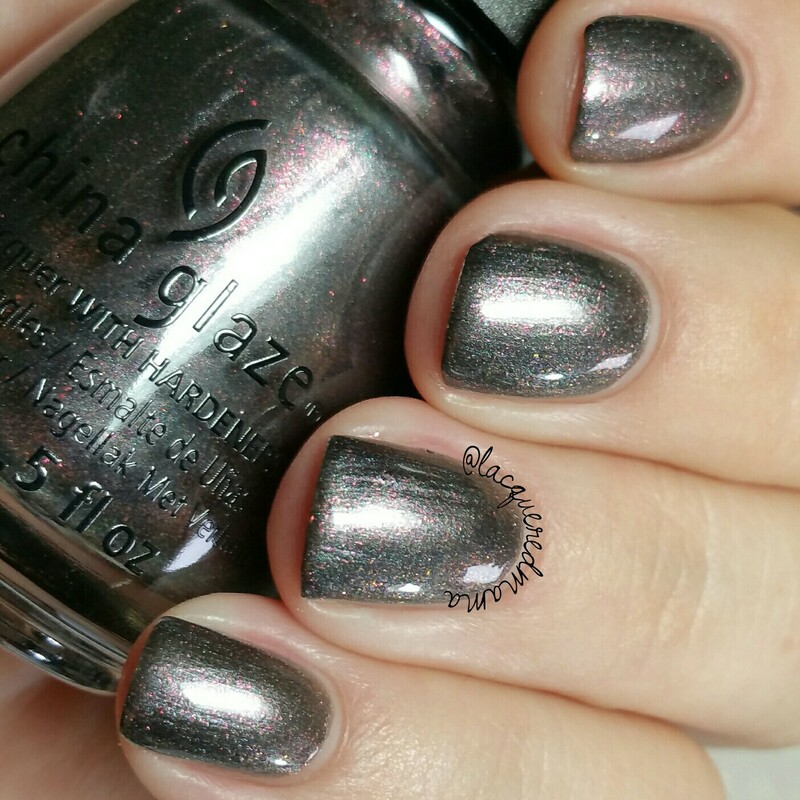 Heroine Chic is a gun metal, leaning slightly brownish metallic base filled with red shimmer! 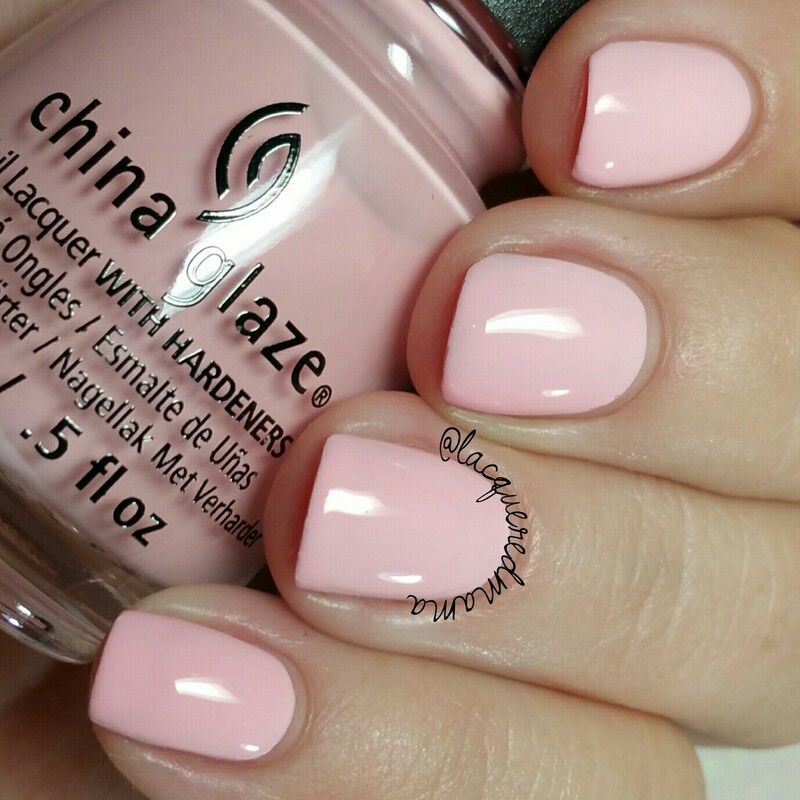 As much as I adore this type of combination, I did find it hard to apply without the brush strokes. 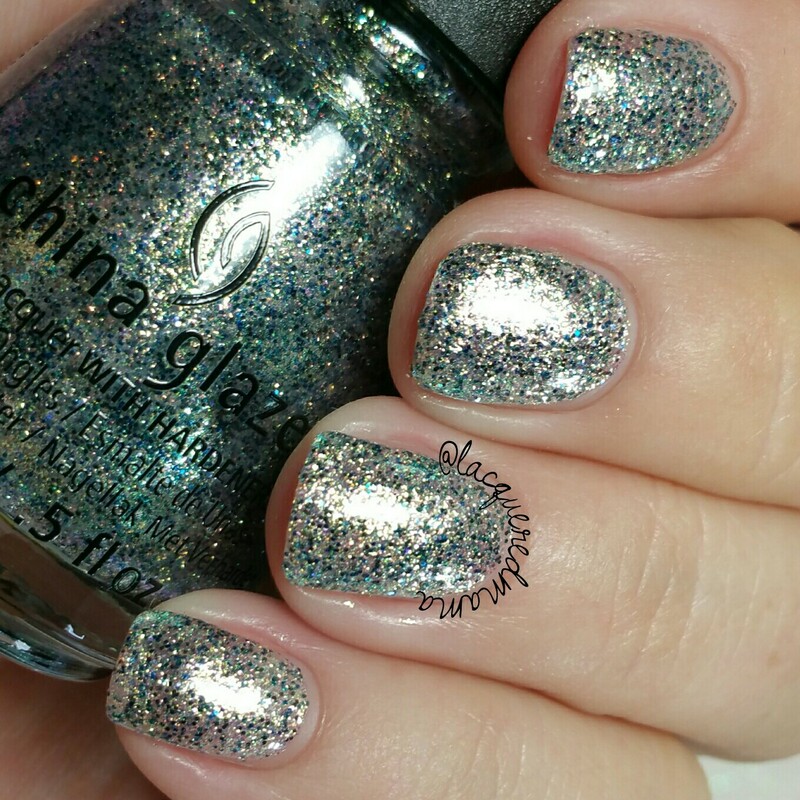 That is the nature of metallic polishes though, so it's understandable. I do really love this though! Here I did two coats plus topcoat. 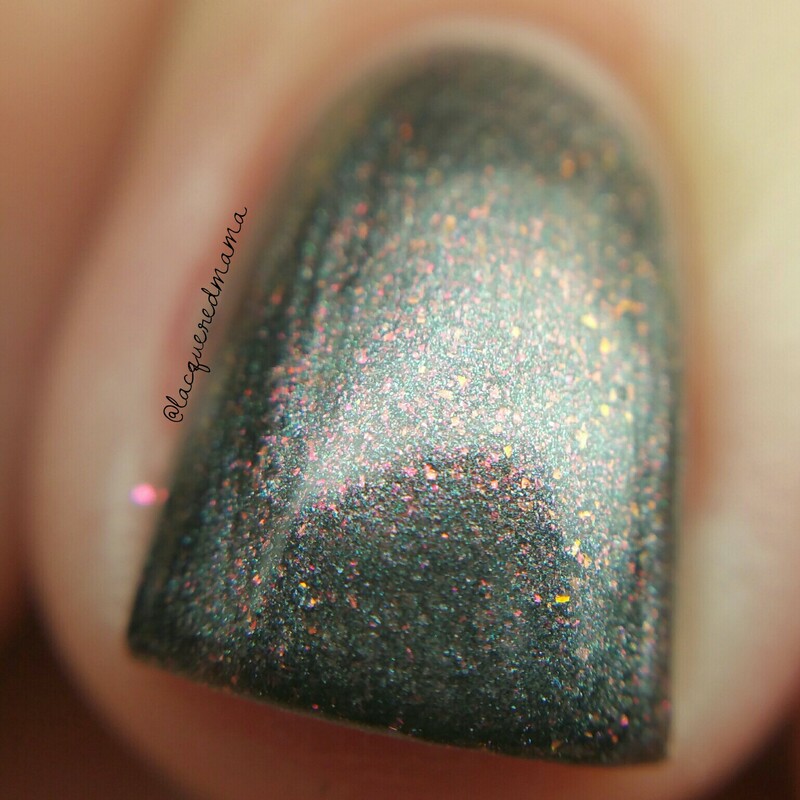 I really wish I had tried this matte...I bet it looks awesome. Easy removal and no staining. 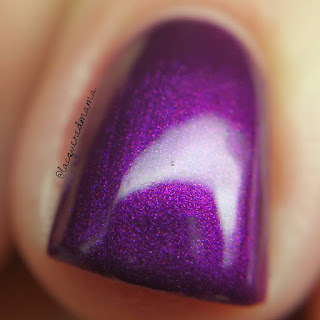 Purple Fiction is a bright purple/fuchsia shimmer polish. Very very pretty! 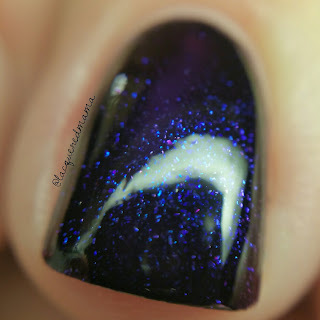 I picture this being used in some Halloween nail art! This also had a wonderful formula that is opaque in one thicker or two thin coats. Brush strokes weren't really an issue with one. Any minor ones I had disappeared as it dried. 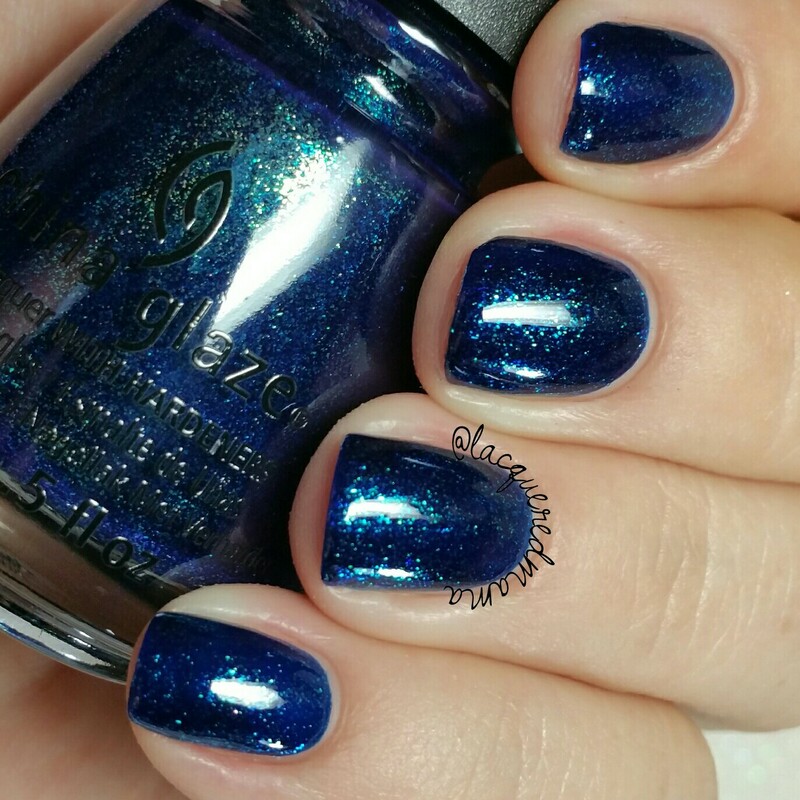 Combat Blue-ts is an absolutely gorgeous royal blue filled with blue shimmer. 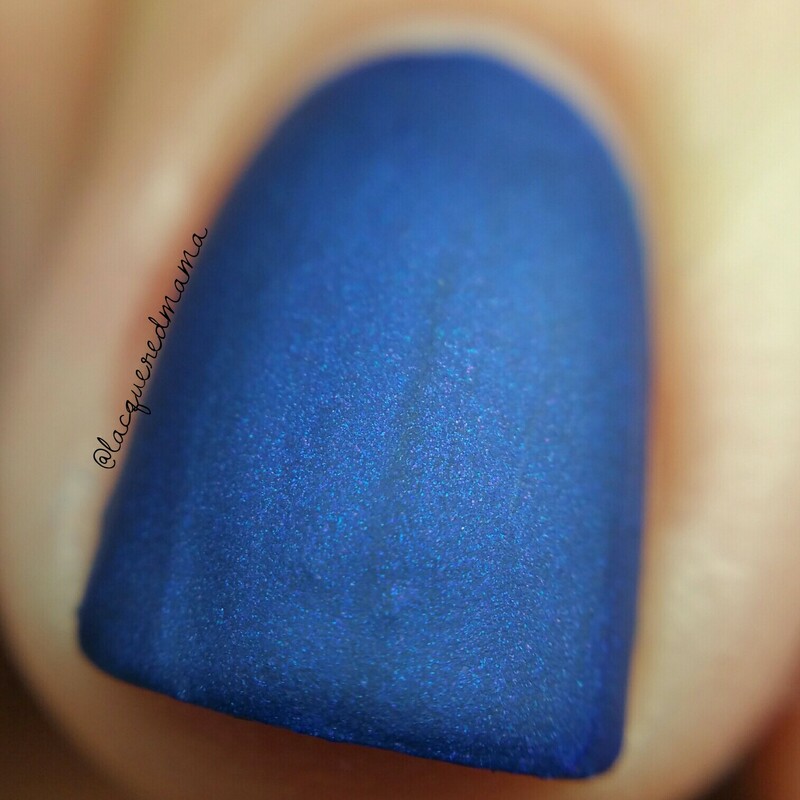 This dries completely matte and is opaque in two coats, though you may get away with just one for sure. 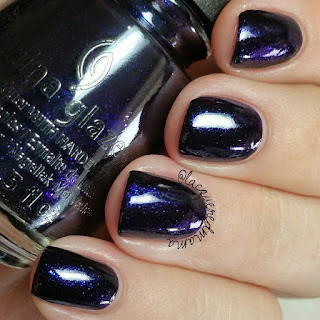 The full swatch and first macro show the polish with no topcoat. The final macro is with one coat of glossy topcoat. I can't decide which I prefer more, the matte or glossy...both are beautiful! 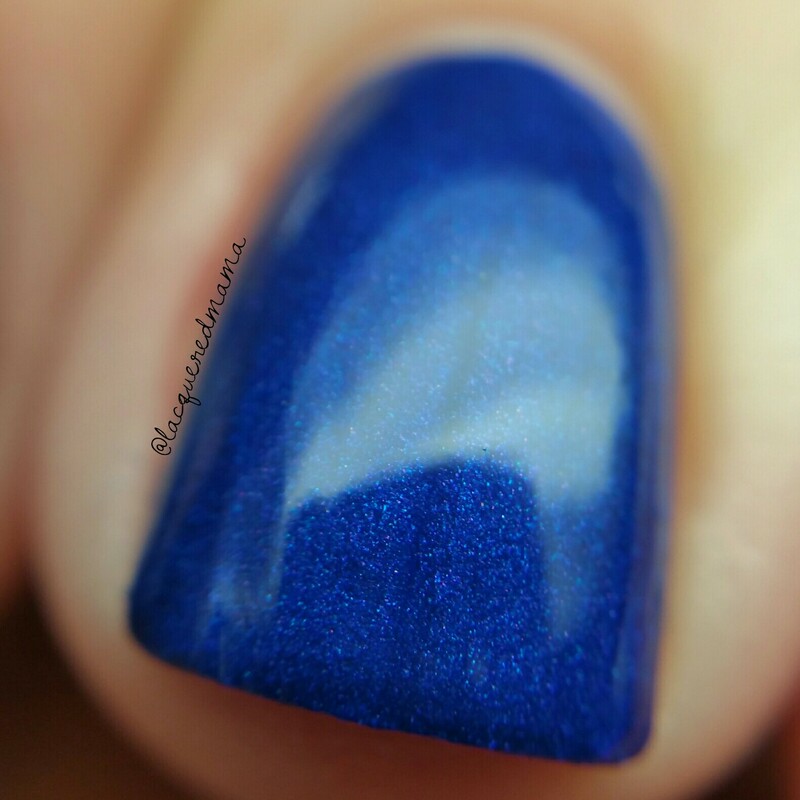 As an opaque blue, you'll want to be sure to wear a good base coat with this. I had no staining, but others may. Fresh Prince-ss It a soft, pastel pink creme. 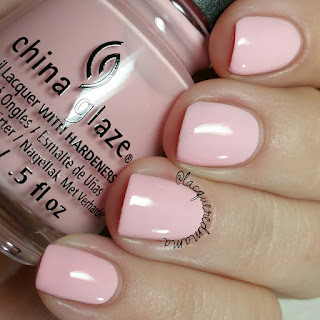 Again not a very excitingly new color, but for a pastel pink, it had a good formula. Here I did two coats plus topcoat. Depending on your application, you may need a third. 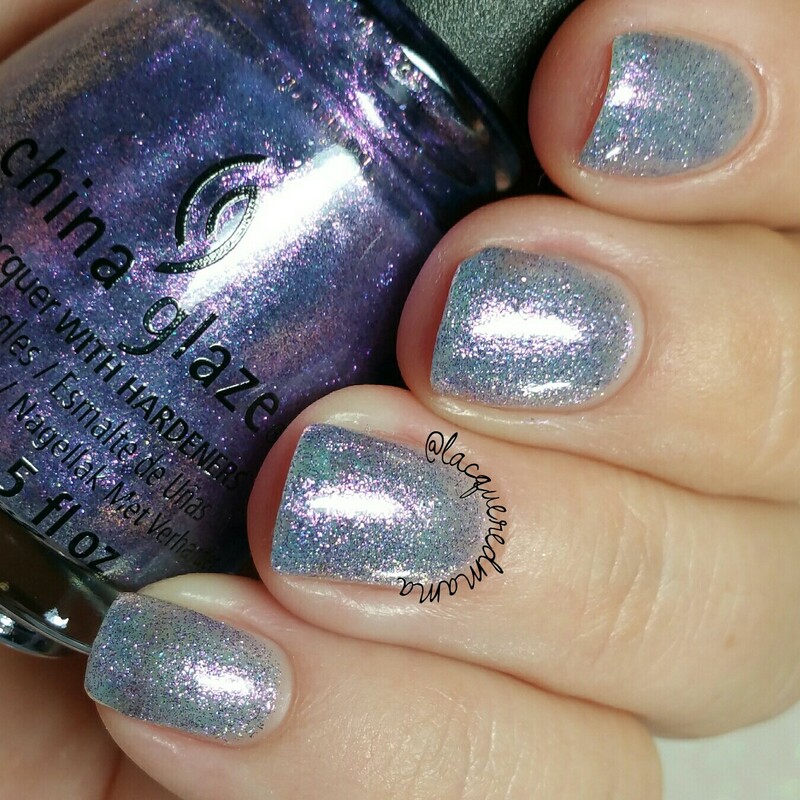 Don't Mesh with Me is a periwinkle jelly base filled with purpley/blue micro glitters and a pinky/purple shimmer throughout. I think this color is really pretty, but the formula was not that great. This is another that would take four coats to be opaque on its own. Here I did three coats plus topcoat and you can still easily see my nail line. This may look pretty cool over a black or dark base though. 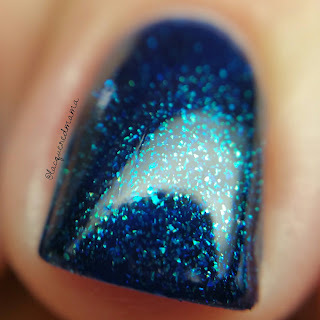 Blue-ya is an insanely gorgeous deep blue jelly base filled with what appears to be blue, teal and gold flakes. 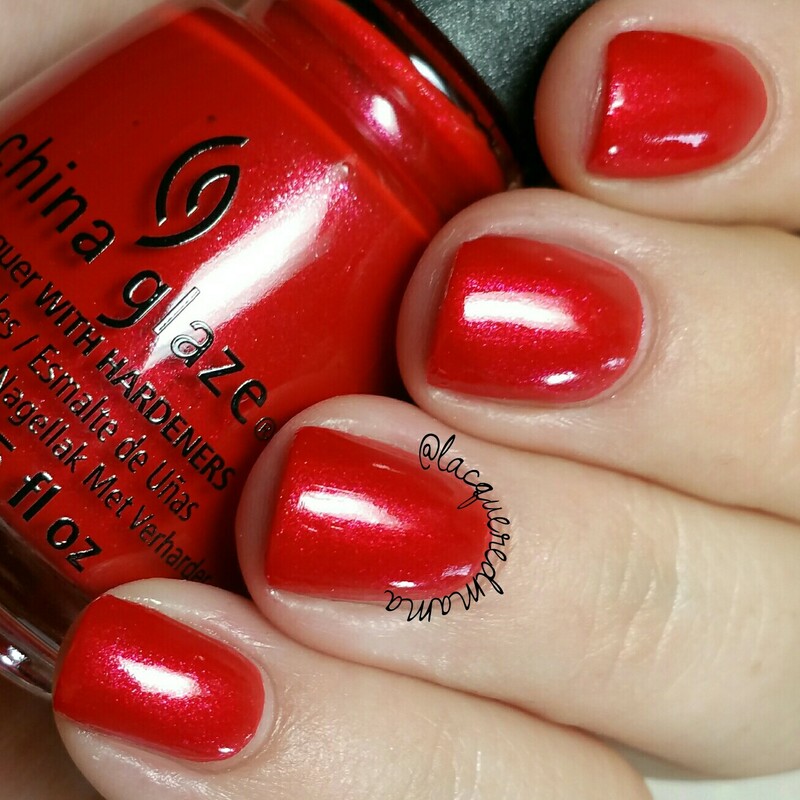 This had a fantastic formula that was almost opaque in one coat. Here I two thin coats plus topcoat. I did notice the tiniest bit of staining with this one, so be sure to wear a base coat under it. Since these are flakes and not glitter, it was easy to remove. Overall I really love this collection! There were a few misses for me, but the good out weighed the bad. If you can't buy the whole collection, I'd recommend grabbing a few. My favs were Y'all Red-y For, Jagged Little Teal, Heroine Chic and Blue-ya! Which ones were your favorites? 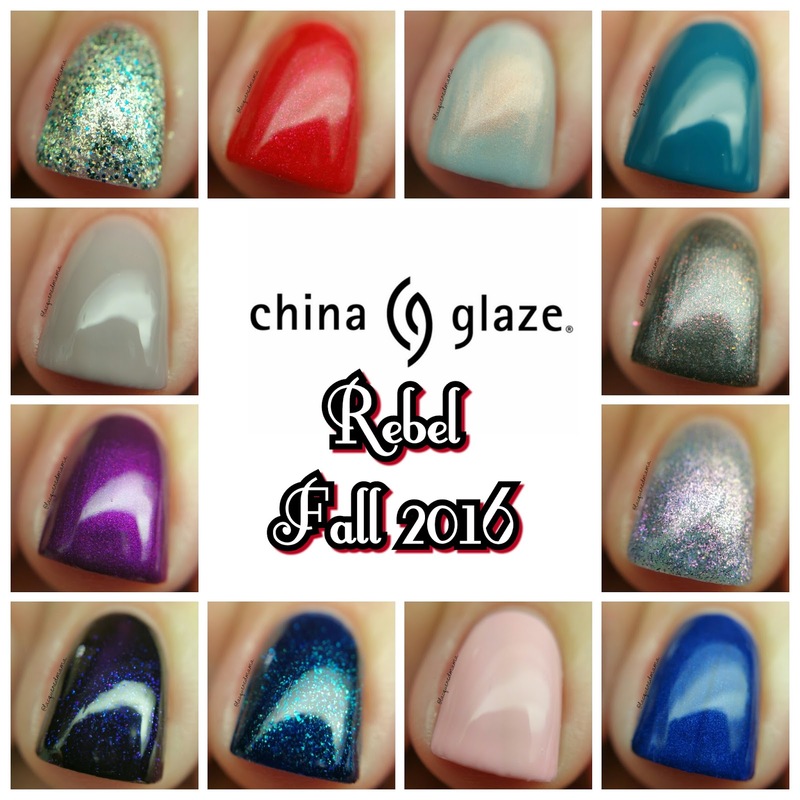 The Rebel Fall 2016 Collection is currently available where ever China Glaze is sold! This is the first CG collection I have been excited about since their Hunger Games collection years ago.